When Blind Society opened its doors 11 years ago, the founders vowed to work on brands they were personally passionate about and with teams they believed in. 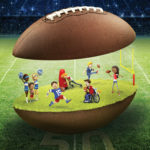 So when Neil Gill, CEO and President of Dogtopia, approached Blind Society with the opportunity to completely revitalize the Dogtopia brand, the dog-loving agency jumped at the chance. 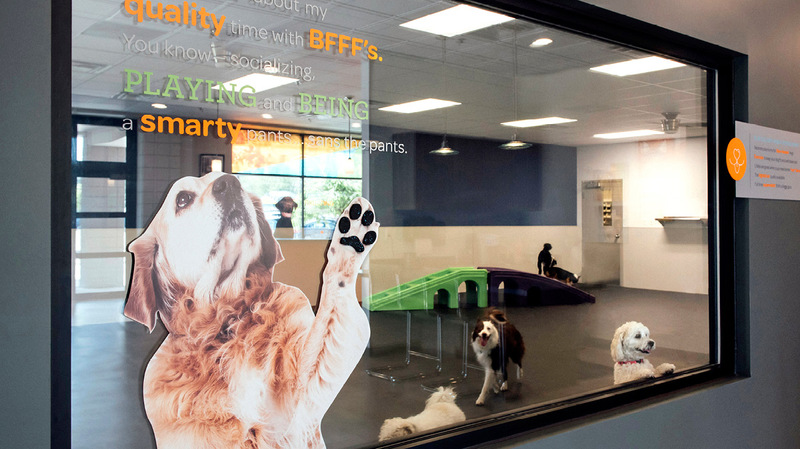 Founded in 2002, Dogtopia is one of the nation’s leading dog daycare, boarding, training and spa facilities. With 43 locations across North America, the brand is rapidly expanding through franchising with successful entrepreneurs. 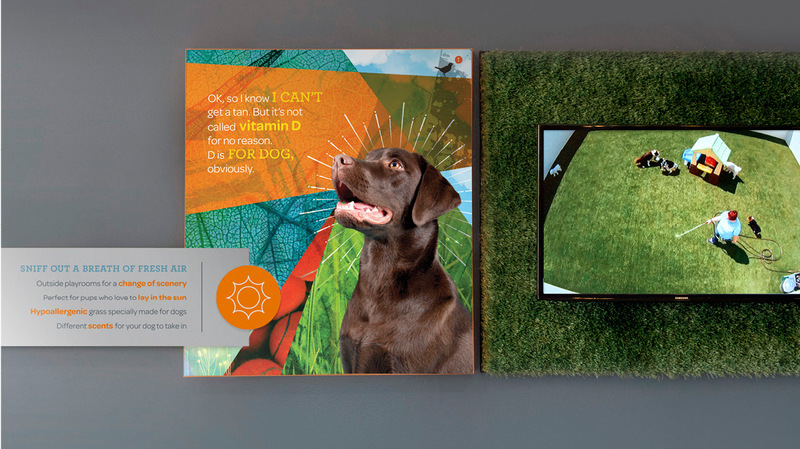 Under a new breed of leaders looking to position Dogtopia as the industry best, they turned to branding and creative agency Blind Society, to bring the new strategy and vision to life. “When I came into Dogtopia, I was confronted with the task of making an already great brand even better,” said Neil Gill. 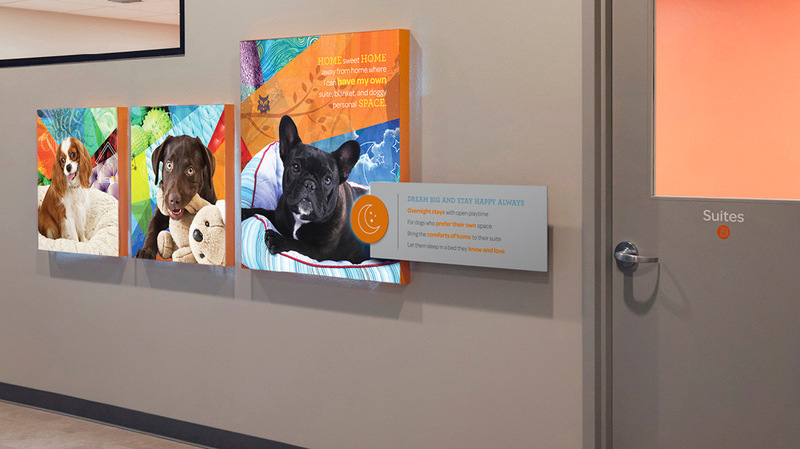 So together with Dogtopia’s fantastic team of in-house and external partners, Blind Society got to work on strategizing the brand’s fresh new positioning and evolved look and feel. Through a tremendous amount of research and uncovering smart insights, we got somewhere pretty amazing. 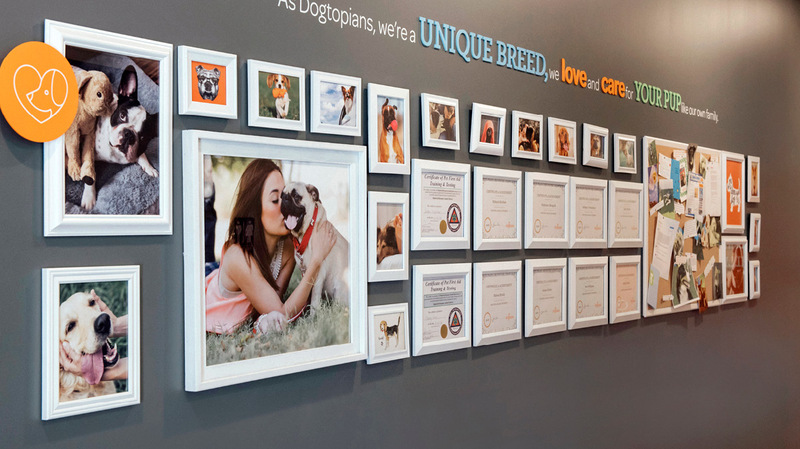 A key development in Dogtopia’s new strategy involves an entirely new look and feel of the company’s in-store vibe and interior décor. 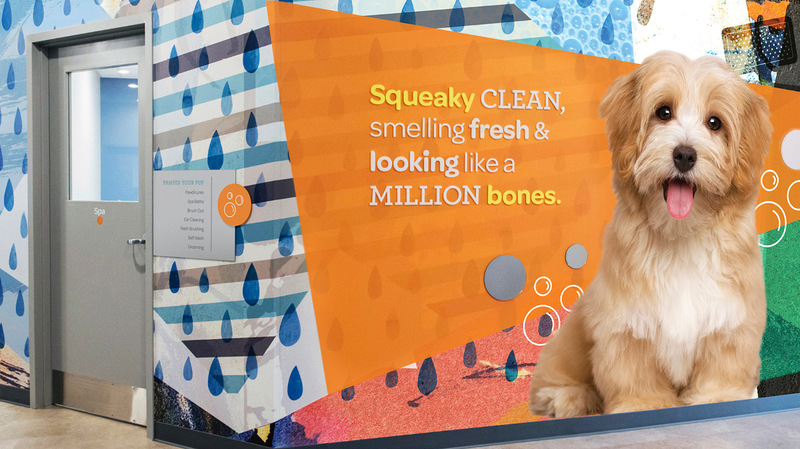 Blind Society was tasked with bringing the key benefits of dog daycare to life in-store through a visually stimulating, smart and on-brand storytelling experience. 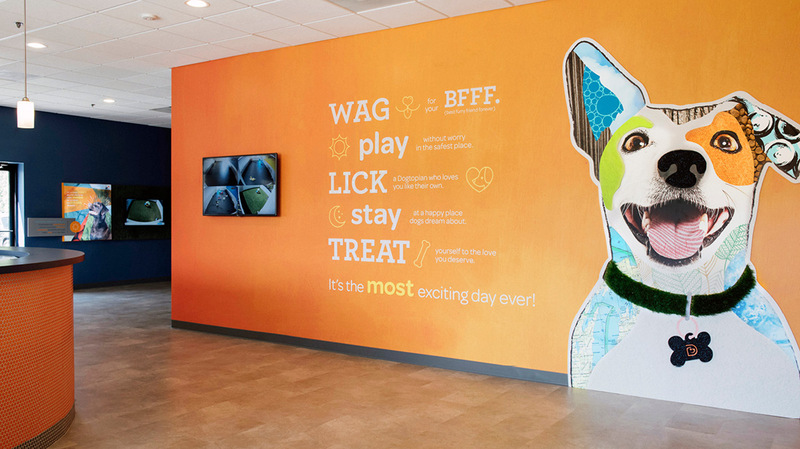 Together with production partner Bluemedia, the fresh design was recently debuted at the new Dogtopia in Commerce, Michigan and will soon be implemented in all future locations. This is just the beginning for the revitalized Dogtopia brand and Blind Society is thrilled to be a part of it. 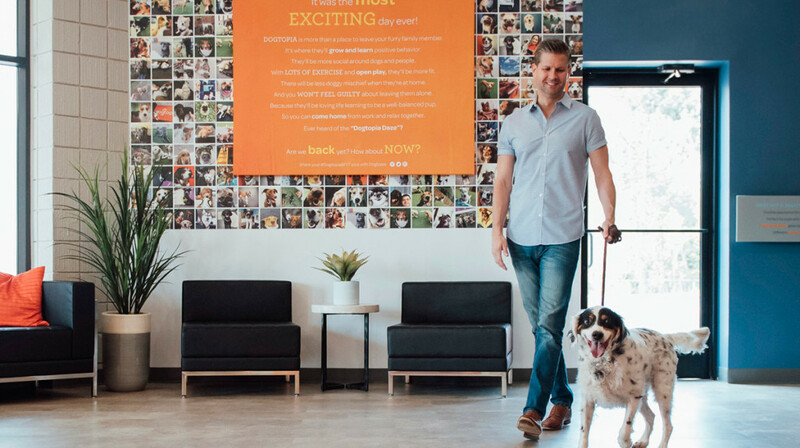 Read more about Dogtopia’s Brand Revitalization in Pet Product News and the Phoenix Business Journal.